Yesterday we saw that character traits don’t come singly but in pairs. If a character is, say, one angry SOB then, all things being equal, this should be balanced out by tenderness. 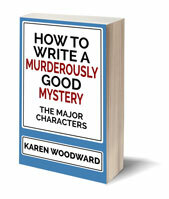 In what follows, I’ll examine this third way of expressing opposing pairs of character traits, paying special attention to how this can be used to tailor our cast of characters to the protagonist. 4. How to fit the protagonist to the cast of characters and the cast of characters to the protagonist. Since we’ve given Donald four pairs of opposing traits we say that he’s four dimensional. Now, what sort of characters should we build to flesh out, to dramatize, each of Donald’s dimensions? Creating characters to connect with each of the protagonist’s dimensions. 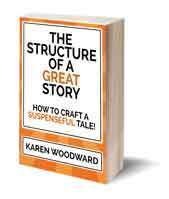 Following the pairs of characteristics McKee gives us in “Story” let’s fashion a cast of characters that ‘hooks onto’ our Protagonist. Character A: Angie Wilkes, Donald’s ex-wife. Donald’s interactions with his ex-wife show us his morose (i) and cynical (ii) sides. Angie, on the other hand, is amusing (i), optimistic (ii), and completely out of contact with reality. She’s convinced that she and Donald have merely hit a speed-bump and that, any day now, he’ll forgive her for having an affair with his best friend. Character B: Henry McTaggert, Donald’s son. Henry is Donald and Angie’s only child. Even though Donald is often cruel (iii) and fearful (iv) when he is with others, when he is with his son he is both compassionate (iii) and fearless (iv)—or at least that’s the front Donald tries to put on for Henry’s sake. Character C: Greta Kettles, Donald’s co-worker. Donald is secretly in love with Greta. Whenever he’s around her his stomach rumbles and he feels light headed. In those moments he is optimistic (ii) and even amusing (i). Character D: Fred Danger, lurker. I put that example together in a couple of minutes, but hopefully you get the gist. All things being equal, the best way to dramatize one characteristic is by pairing it with its opposite. Which isn’t to say that a single character can’t be both, for example, fearful and fearless if we show them at different points in time or we contrast appearance and reality (they only appear terrified, they’re really not) but, since we’ve been interested in creating a cast of characters that teases out our protagonist’s dimensions, we’ve been focusing on pairing his characteristics with those of other characters. As McKee writes, this is how to not only make characters multidimensional, but to show those dimensions to the reader. Next week we’ll go into more depth about how to create a cast of characters that teases out the inherent complexities we’ve been at such pains to give our protagonist. 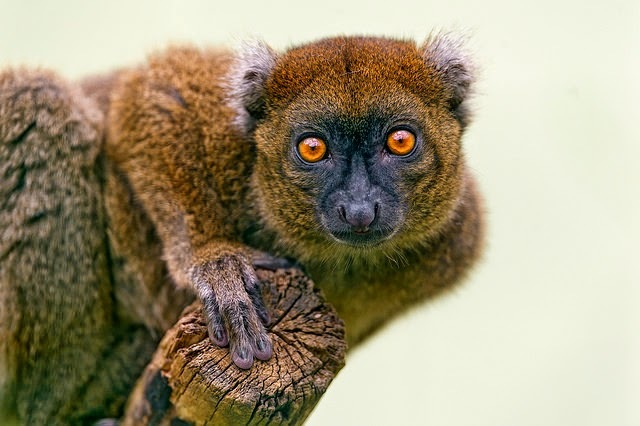 Photo credit: "Dark lemur on the branch" by Tambako The Jaguar under Creative Commons Attribution-NoDerivs 2.0.